Last December 13 marked the centenary of the sudden death, at the age of 55, of Maltese Benedictine prelate, Mgr Ambrose Agius, titular archbishop of Palmyra and Apostolic Delegate to the Philippines (1904-1911). Officially, Mgr Agius died within two days of suffering an acute attack of peritonitis, but considering the turbulent situation in the Philippines at the time, many did not exclude that he died “in dubious circumstances, possibly murdered” (see D. Arrigo, Daughter of an Empire – a family history, 2003, notes in Ch.1, no. 28). Mgr Agius was the son of Tancredi Agius, a highly respected merchant in Malta and in Egypt, where he had emigrated and settled in Alexandria, and Saveria Sammut. Born on September 17, 1856, Mgr Agius was baptised in Alexandria’s St Catherine’s cathedral on November 5 that year and was christened Tancredi Alfred. Educated at St Augustine’s Benedictine College in Ramsgate, Kent, he always distinguished himself. After spending a year “out in the world” in business, in 1872 he returned to Ramsgate Abbey where he took the monastic habit and became known as Dom Ambrose. Professed on October 12, 1873, two years later he was sent to Rome to complete his Philosophy and Theology studies; he was ordained on October 16, 1881. In May 1881, Dom Ambrose was sent to Malta since the newly founded Benedictine congregation of Subiaco, due to the hostile Italian political situation and growing anticlericalism, was looking forward to open a novitiate and a monastery in Malta. The mission was a success on the whole, and in December, he came to Malta with a group of fellow monks and settled in Nigret, limits of Żurrieq. Soon a canonical community was formed, an international novitiate was set up, and a male Benedictine monastery dedicated to St Mary Immaculate, the first and only in Malta, was established at Niget. Within three years the situation in Italy had changed, so the Malta monastery was closed down. Back at Ramsgate, Dom Ambrose showed a deep monastic zeal and religious fervour. In 1893 he was called to Rome and appointed secretary to the procurator of the Subiacan Curia. He was widely praised for the way he carried out his duties and his pastoral work, even by the Pope himself, Pius X, who was later canonised. Indeed, the Pope was great-ly disappointed when Dom Ambrose was not elected Abbot Procurator of the congregation, and decided to place him at the service of the Universal Church. 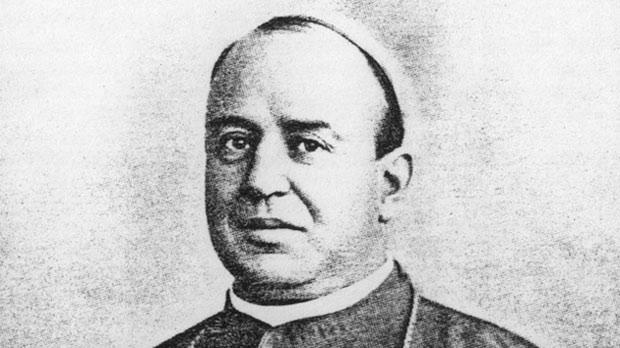 On August 27, 1904, the Pontiff nominated Dom Ambrose Apostolic Delegate to the Philippines (which had become an American possession after the US-Spanish war of 1898), and on September 18 1904 he was consecrated titular archbishop of Palmyra, by the Vatican’s Secretary of State, Cardinal Rafael Merry del Val. Mgr Agius was congratulated for having omitted the customary entertainment after the ceremony, making instead a generous donation to the poor of the Roman parish of San Ambrogio. In recognition of the monumental work which Mgr Agius, as Apostolic Delegate, had achieved by reuniting and organising the Church in the Philippines, in November 1911, Pope Pius appointed him Papal Legate-designate to Washington, DC. At the time this prestigious post usually led to the holder’s nomination as cardinal. Mgr Agius was due to embark for Italy, when on December 13, 1911, his life was suddenly cut short. News of his premature death caused great sorrow to whole Church, especially to his fellow Benedictine monks.